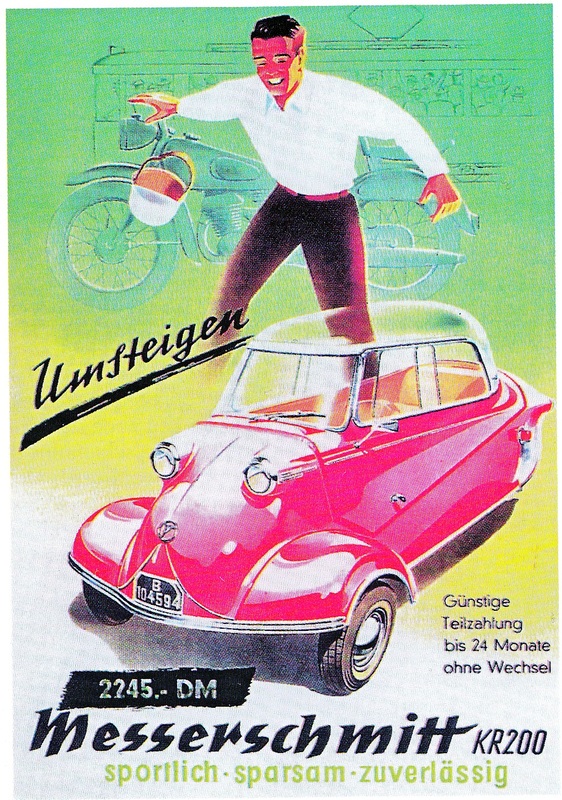 "Graduating" from two wheels to four in Germany. 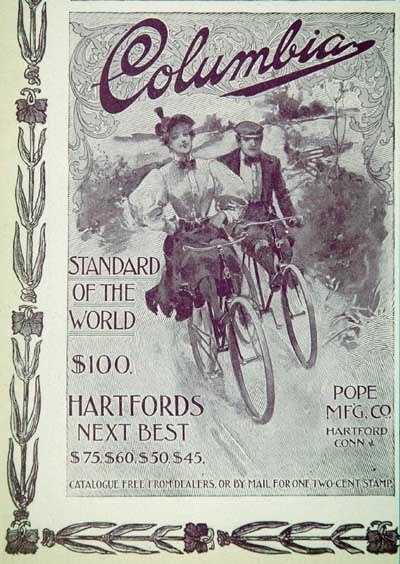 An ad showing prices for Pope's bicycles in the 1890s. Division of Labour.—It is not the business of ducal footmen to clean the family bicycles. 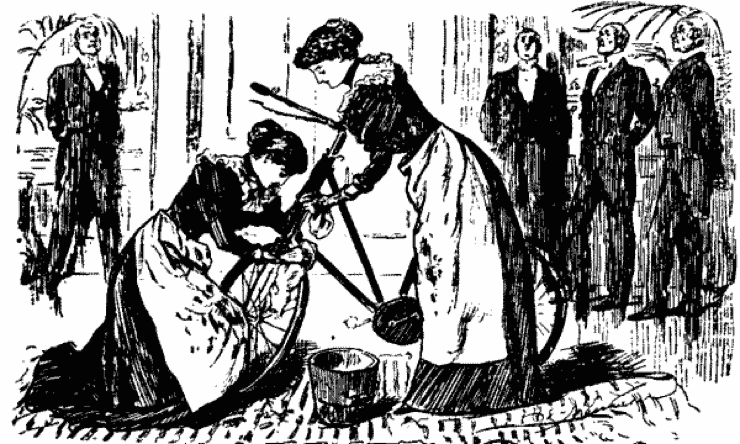 The ladies Ermyntrude and Adelgitha have to do it themselves. 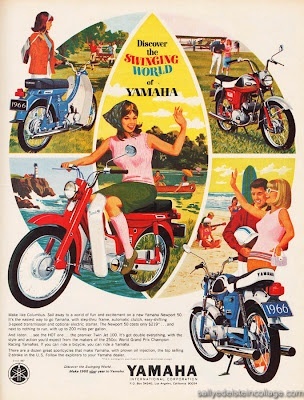 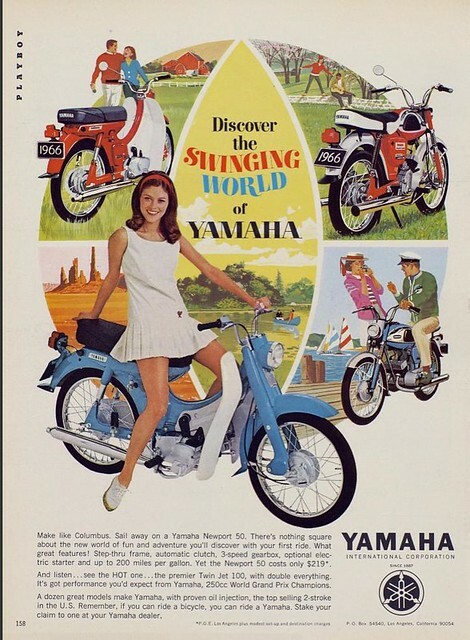 Selling the romantic possibilities of two-wheeling: “Discover the Swinging World of Yamaha” (1966). 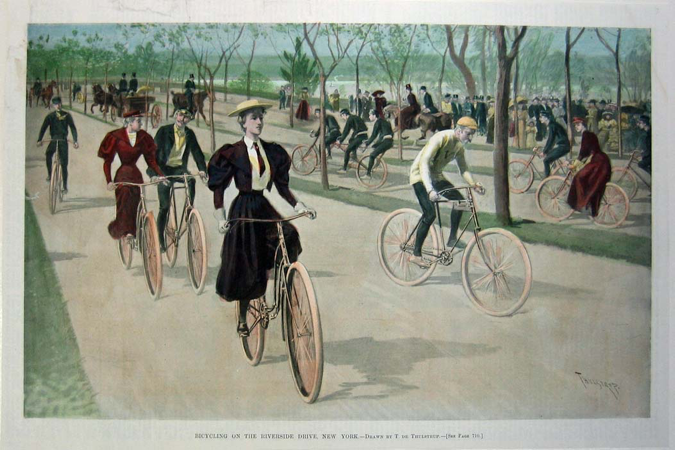 Early bicycle paths: Riverside Drive in New York, Harper’s Weekly, 1895. 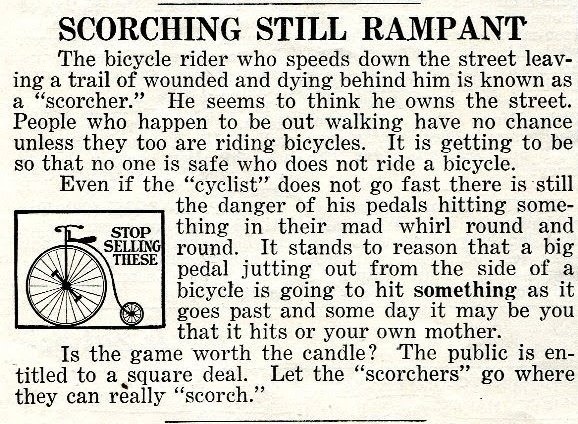 The popular press mounted campaigns against “scorchers” in 1895.